Washington - El ex consejero de seguridad nacional de Trump, Michael Flynn, se declaró culpable el viernes de mentir al FBI sobre las conversaciones con el embajador de Rusia y reveló que está cooperando con la oficina del abogado especial. Washington — Former Trump national security adviser Michael Flynn pleaded guilty Friday to lying to the FBI about conversations with Russia's ambassador and disclosed that he is cooperating with the special counsel's office. Flynn es la primera persona dentro de la administración del presidente Donald Trump en ser contactada por el asesor especial Robert Mueller. Los acontecimientos son una señal de que la investigación se está intensificando, y los detalles revelados el viernes proporcionan la imagen más clara de la coordinación entre Flynn y otros asesores de Trump en su contacto con funcionarios rusos para influir en la política internacional. Según una declaración del FBI, Flynn se comunicó con el entonces embajador de Rusia en los Estados Unidos, Sergey Kislyak, después de que un alto funcionario de transición de Trump le pidiera que averiguara cómo los gobiernos extranjeros defendían una resolución del Consejo de Seguridad de la ONU sobre Israel. Los fiscales no nombraron a ningún funcionario de transición. Flynn is the first person inside President Donald Trump's administration to be reached by special counsel Robert Mueller's probe. The developments are a sign that the investigation is intensifying, and details revealed Friday provide the clearest picture yet of coordination between Flynn and other Trump advisers in their contact with Russian officials to influence international policy. 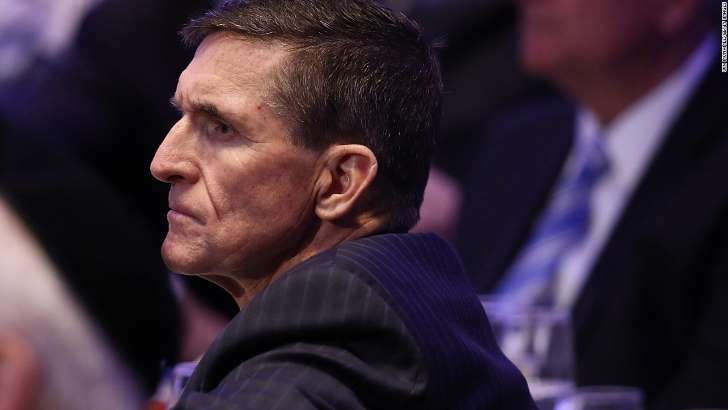 Flynn faces a maximum sentence of five years in prison, according to federal sentencing guidelines, though the judge Friday morning stressed he could impose a harsher or lighter sentence. In a statement, Flynn said he acknowledged that his actions "were wrong, and, through my faith in God, I am working to set things right. In court, prosecutors detailed calls made by Flynn in late December 2016 to the senior Trump transition team at Mar-a-Lago to discuss conversations with Kislyak. There were multiple conversations with the transition while he was having conversations with Kisyak about Russia sanctions and the Russian response. According to a statement of offense filed in court, Flynn conducted several calls with senior officials on the Trump transition team about his discussions with Kislyak related to US sanctions of Russia. Flynn then called Kislyak to ask that Russia not respond too harshly to US sanctions, the statement of offense said. He told a Trump transition official about that call. Russia responded by choosing not to retaliate to the sanctions. The bulk of the back-and-forth calls from Flynn to the Russian ambassador and to Trump advisers happened around December 29, while the advisers were at Mar-a-Lago in Florida. They "discussed that the members of the presidential transition team at Mar-a-Lago did not want Russia to escalate the situation," the filing said. Flynn lied to investigators about these calls with the ambassador, according to his guilty plea and the criminal statement of offense. The charging document states that Flynn made a false statement to the FBI when he stated that in December 2016 he did not ask Kislyak "to refrain from escalating the situation in response to sanctions that the United States had imposed against Russia that same day; and Flynn did not recall the Russian ambassador subsequently telling him that Russia had chosen to moderate its response to those sanctions as a result of his request." The document also says that Flynn falsely said he did not ask Kislyak to delay the vote on a pending United Nations Security Council resolution. Flynn's other instance of lying to investigators involved what he told them about his conversations with foreign officials related to their planned UN Security Council votes on Israeli settlements. A "very senior member" of Trump's transition told Flynn on December 22 to contact officials from foreign governments about how they would vote and "to influence those governments to delay the vote or defeat the resolution." Flynn then asked Kislyak to vote against or delay the resolution, the statement of offense said. White House allies initially tried to put a positive spin on the news. One person familiar with the mood in the West Wing insisted top White House officials were breathing a sigh of relief. "People in the building are very happy," the source said. "This doesn't lead back to Trump in any way, shape or form." The source noted that Flynn is being charged for making false statements, but not for any improper actions during the campaign.